This section shows how each block is constructed and what kinds of elements are creating the block. 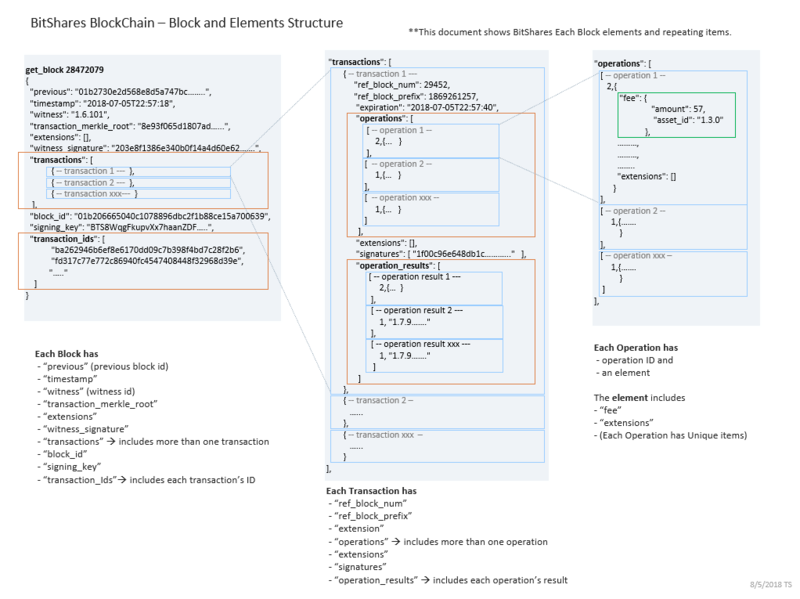 The below is simple blockchain structure image. Each block has a block_id and refers a previous block_id. And each block has more than one transaction(s). Each transaction has more than one operation(s). Each operation has “fee” and element(s). Each operation has different elements (processes). // Note: when we need to add data to `extensions`, remember to review `database::_generate_block()`.